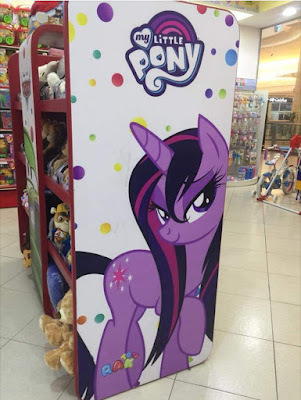 We've seen a lot of knockoff pony merchandise rockin the bedroom eyes and wet manes, but not an actual full side to a kiosk in a store. 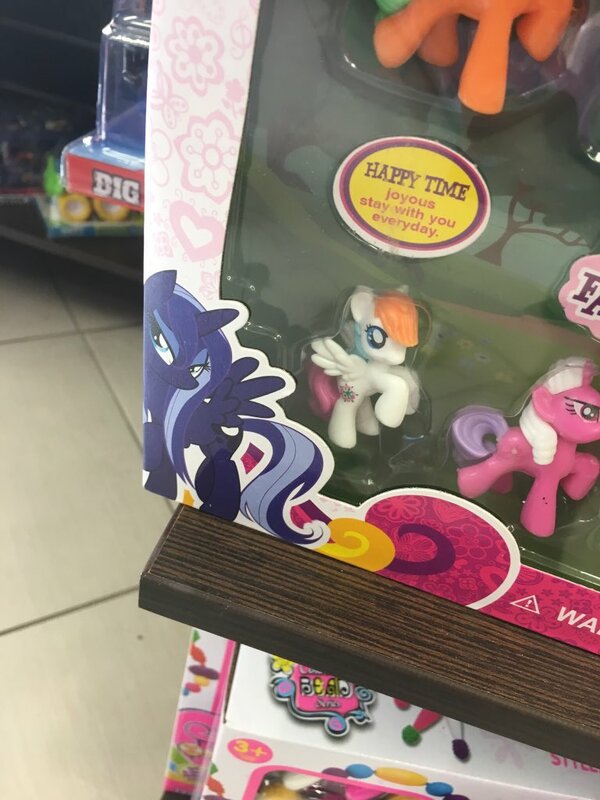 Unfortunately we don't have much info on this one, but it looks like the logo on the bottom is RAK Toys, which is apparently based out of Dubai according to Facebook, though we get some Saudi Arabia links too. Somehow this continues to be a thing. Now we just need to convince toy stores in other parts of the world to rock this signage. 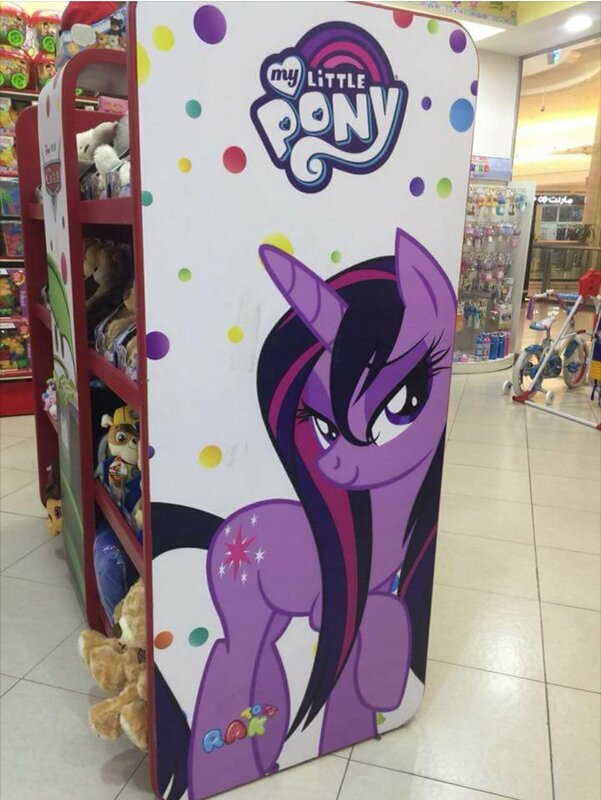 Imagine all the Twilights they would sell. Thanks to Victor, Dillan, and Ryan for the heads up.